Meg's Food! | Peanut Seitan Stir-Fry - Meg's Food! 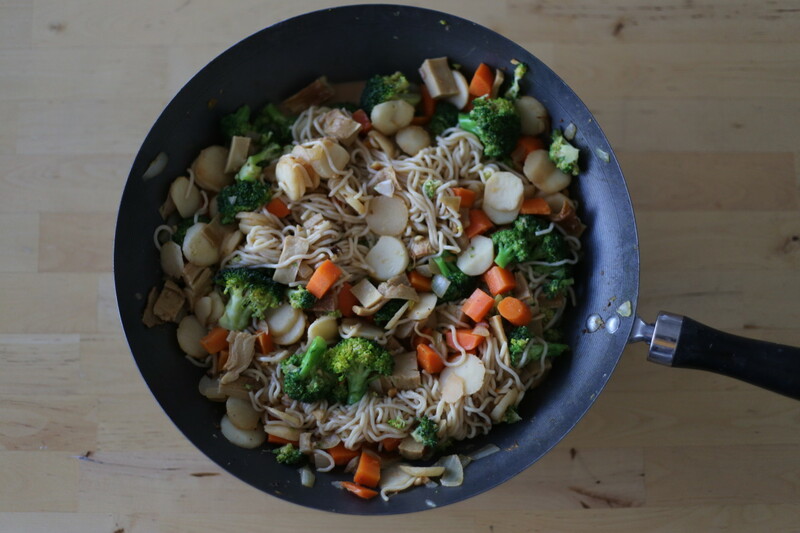 Stir-fry is probably the first dish I learned to cook myself when I first became a vegetarian. They’re a great dish to be comfortable making – super versatile, an easy way to use up veggies in your fridge, and you can flavour it however you want. I’ve certainly come a long way from my early stir-fry days, when I was using sauces from a jar, and bland, unflavoured tofu. This stir-fry calls for seitan, my favourite plant-based protein. Seitan is made of wheat gluten and has a nice chewy texture, and takes on whatever flavour you throw at it. If you can’t find seitan (I got mine at Yam Chops, a vegan butcher shop in Toronto) you can sub in tempeh or tofu; both will go nicely with this marinade. Slice seitan into cubes. In a bowl, combine soy sauce, brown sugar, hot sauce, and juice from two limes. Add seitan cubes and marinate for an hour. Heat 1 tbsp vegetable oil in a large wok over medium heat. Drain marinade and add seitan cubes and cook, stirring occasionally, until edges are brown. Remove from wok and set aside. Heat another 1 tbsp vegetable oil in the wok and add onions and garlic. Grate ginger with a microplane and add to the wok. Cook until fragrant and then add the rest of your veggies. Stir and cook until veggies are still crisp but cooked through. Meanwhile, combine soy sauce, chili sauce, peanut butter, water, and maple syrup in a small bowl. Pour sauce over veggies and stir to combine. Cook soba noodles according to package directions. Drain and add to wok. Toss until everything is nicely coated with sauce. 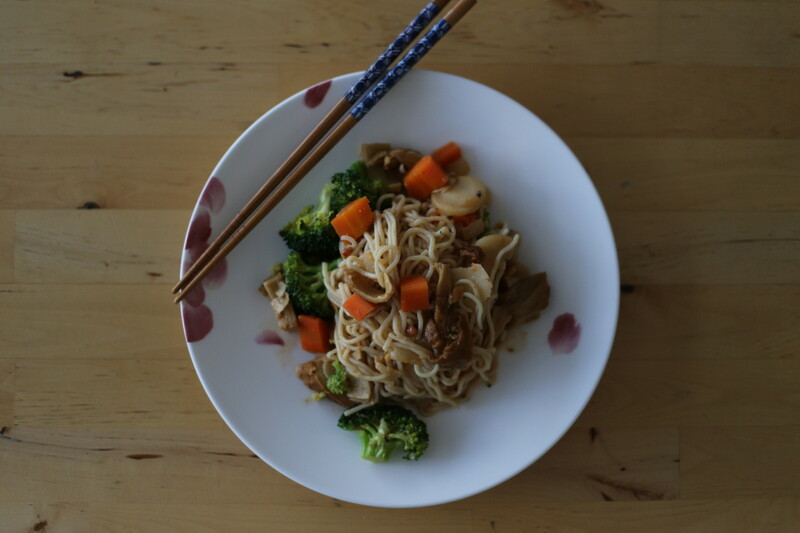 This entry was posted in Dinner, Lunch and tagged peanut sauce, Sei, seitan, stir-fry. Bookmark the permalink.